As UK’s proud second city, both in population and GDP, Birmingham is an economic powerhouse that is poised for even bigger growth. The city offers huge potential for investors, whether in property, finance or business. And it’s all thanks to a far-sighted blueprint drawn up in 2010. Mr Bean’s iconic Mini car, the steam engine, and postal stamp; these three seemingly dissimilar things share something in common – they all have roots in Birmingham. The city in England’s West Midlands may not be the capital of the UK, but it definitely has many of its own claims to fame. Save for the Mini, which began production in 1959, the other inventions date back to between the mid-1700s and late 1800s, charting Birmingham’s growth from a small hamlet to a major city that was a powerhouse during the industrial revolution and the most prolific centre for innovation in the UK and most of Europe. Today, the city is the major convention and shopping destination outside of London, and is quickly gaining reputation as a financial hub. However, far from resting on their laurels, the city’s officials drew up an ambitious blueprint in 2010 for Birmingham’s development. Called the Big City Plan, it will be rolled out gradually over the next 20 years. The plan has successfully generated much interest in Birmingham, and the city is expected to continue to prosper and grow. A projected 26,000 households are expected to be added to the city centre as the many investments attract new businesses, residents, and opportunity seekers. New homes will be needed, but with only 9,554 units currently in construction, a shortage of housing is inevitable, and it is also for this reason that Birmingham is fast becoming a hotspot for property investments. This has not gone unnoticed by overseas property developers, many of whom have already drawn up blueprints for high-quality city centre housing. One such developer is Hong Kong-based company Top Capital Group with its two projects, The Axium and Arden Gate, both just a few minutes’ walk from the Grand Central-New Street station and the business districts. 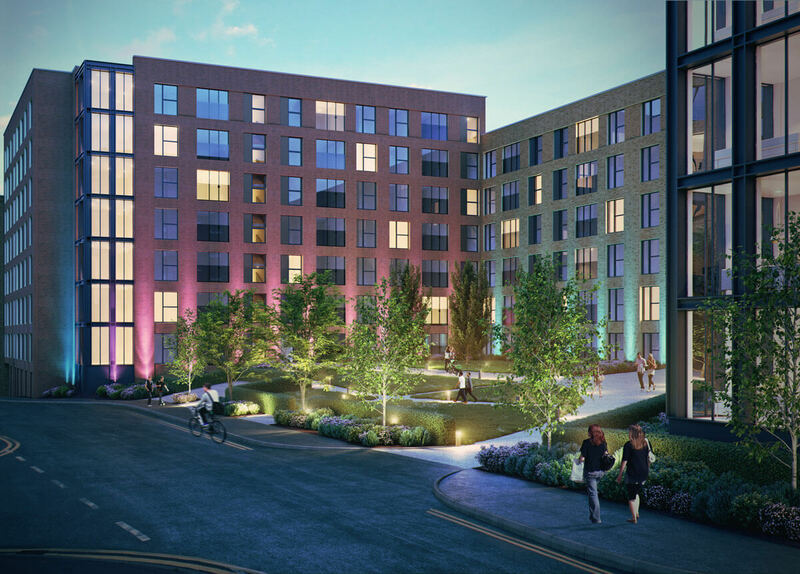 Upon completion in 2019, The Axium will add 304 high-end apartments to Birmingham’s city centre landscape, while Arden Gate will deliver 225 luxury apartments and duplexes close to the famous Birmingham canals.